Fears of repeat shark attacks have ravaged some coastal communities, but thanks to a team of Aussie specialists, the (peaceful) fightback is underway. 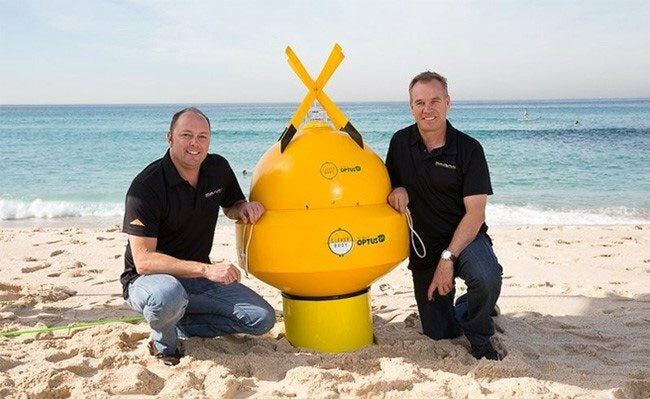 Shark Mitigation Systems (ASX:SM8) has just debuted on the world stage its Clever Buoy sonar technology, a unique technology that detects sharks before they can cause any harm to humans. SM8 was contracted by the World Surf League to deploy its early-warning Clever Buoy system at the recently completed J-Bay Open at Jeffreys Bay on South Africa’s Eastern Cape. This event attracts the world’s best surfers as one of the premier events on the surfing calendar. Incidentally, this is the same beach and the same competition where Fanning came a cropper by tangling with a shark last year. Fanning overcame any trepidation he may have had at this year’s event by beating all comers to take first place . The J Bay Open provided a fantastic opportunity for SM8 to showcase the power of its early shark detection technology to the world’s top surfers. Beyond the current contract, the World Surf League may look to expand the contract to cover all global surf events. Thus far this is speculation and is no guarantee to occur, so seek professional financial advice for further information if considering this stock for your portfolio. Furthermore, given the exposure SM8 received at the Open, more professional surfers could become brand ambassadors – that would be in addition to surfing legend Taj Burrows, who is already on board as an SM8 ambassador. With more people coming to realise what these Aussie inventors have created, it may not be long until coastal communities across Australia and beyond start to install the Clever Buoy as a low-cost, non-invasive shark mitigation measure — superseding the list of expensive solutions that have failed to put a dent in shark attacks since records began. SM8 is a business minded, yet environmentally-spirited technology company that wants to find a middle-ground with sharks, and deliver peace of mind to millions, if not billions of people. Here at The Next Tech Stock , we think SM8’s technology could help propel this tiny seafarer into larger oceans. 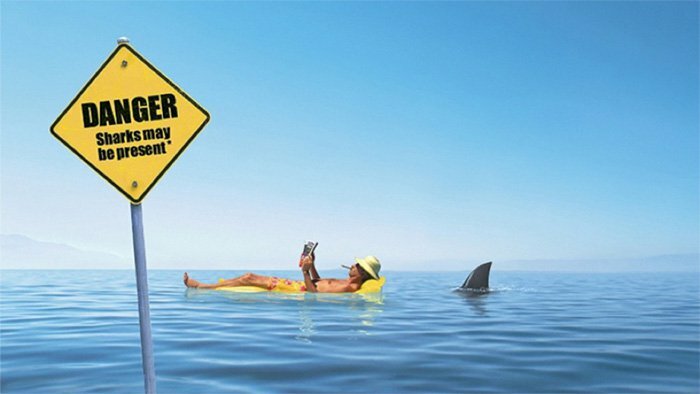 Aside from protecting the loss of human life, the other issue to address in relation to shark attacks is human fear. Even though the statistics demonstrate the chances of an attack on a given day is low, all it takes is a few sightings that can lead a beach to be vacant due to fear of an unseen threat. If the worst occurs and a shark attack does happen, it can often leave a beach vacant for weeks or even months – having a dire economic impact to go with the tragedy of a life lost. We covered this very point in our first article about Shark Mitigation Systems (ASX:SM8) titled: New ASX Listing: This Company Saves Human Lives with Next-Gen Marine Technology . In that article we also looked at how SM8 developed its sonar detection technology to detect sharks. 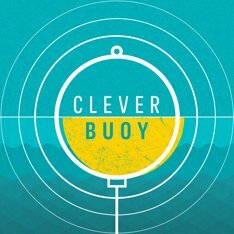 So in light of that, let’s take a deeper look at what SM8 has developed with Clever Buoy. The Clever Buoy system is designed to operate completely autonomously, identifying large sharks from other species and sending a warning signal to lifeguards and water safety officials onshore. The system can automatically detect the size and movement direction of sea life hundreds of metres from the beach. This breakthrough technology could potentially be deployed by coastal communities globally. Its algorithms are constantly being refined and already the system can be tweaked to detect other marine life. Over time, the technology can be adapted and modified into other niche applications such as commercial fishing, marine biology scientific research and environmental applications. The most interesting aspect about this technology is that it does not require any electronic tags or other monitoring equipment to be attached to sharks. This means it can be deployed very quickly and have an immediate impact on shark detection accuracy — not to mention respecting the environment. SM8’s Clever Buoy was recently put through its paces at the iconic Bondi Beach. The Bondi Beach programme was the final pre-commercial testing phase which ultimately proved up how effective Clever Buoy is – and whether other beaches will install it. And just to reiterate, SM8 recently debuted its Clever Buoy sonar technology at the WSL J-Bay Open at Jeffreys Bay on South Africa’s Eastern Cape. That’s a worldwide audience of surfing lovers who gained a first-hand look at what Clever Buoy actually does. SM8 has also developed a technology that can be designed into marine apparel such as wetsuits and watercraft. SM8’s proprietary technology, commonly known as SAMS TM , has been developed in partnership with the University of Western Australia’s Oceans Institute and School of Animal Biology, meaning it truly is one of a kind, with the IP completely in SM8’s hands. The SAMS TM technology is based on new molecular science and interpretation of the visual systems of large predatory sharks undertaken by the university. SM8’s wetsuits simplify the recognition process for sharks i.e. when sharks see a surfer with a SAMS TM wetsuit on, the design leads the shark to identify the surfer as inedible and not like its ordinary prey. 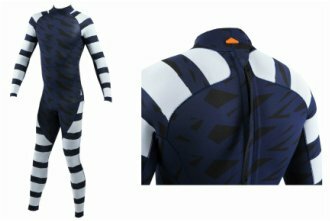 Here’s a look at SM8’s SAMS cryptic pattern suit suitable for divers. This design hides them in the water column by adapting to the reflectance properties of the water. SM8’s wetsuits have been a huge hit amongst surfers, divers and ocean swimmers already, and are being sold all over the world. It is still early days in the sale of these suits, however, and this is just one element of the overall SM8 commercial equation, so apply caution to your investment decision with regard to this stock and take all factors into account. By simply placing white-and-black stripes across its wetsuits, SM8 has scientifically proven that this has a strong impact on shark behaviour. ...while the suit on the right, intends to blend the wearer in with the water, so the shark effectively sees a blank space, without clearly defined edges — the key element behind a sharks’ vision in the water. This wetsuit technology could be one of the reasons champion surfer Taj Burrow has come on board as an ambassador for SM8. And SM8 is travelling well in this regard, having recently signed one of Australia’s all-time surfing legends, Taj Burrow as an ambassador . The 20-year Pro surfer veteran recently retired at age 38 and immediately stepped into an Ambassador position at SM8 — again validating SM8’s innovations on a world stage and gaining market exposure. Here’s Burrow still doing what he does best, seeing the world from a different perspective. The aspect that attracted Burrow to SM8 is its non-invasive and ethical approach, which is also what attracts SM8’s intended users. SM8 and Burrow are both examples of true Aussie achievement, leading the way in their respective fields and using their knowledge and expertise to advance ocean security, safety and its understanding with respect to its ecosystem. It seems a much better idea to peacefully coexist and mutually cooperate with your neighbours. So instead of pushing the fear of sharks under the carpet and wasting resources, SM8 offers an ethical, commercially-viable combination of products in Clever Buoy and its Visual Deterrent technology, to eradicate the deep rooted problems between society and ocean wildlife. SM8 is entering the shark mitigation space multilaterally, in the hope of cornering it completely, intending to become the go-to name for shark mitigation. With its sonar technology successfully trialled and tested at Bondi Beach, and used at the WSL J-Bay Open at Jeffreys Bay in South Africa, it could be that these events are the springboards that vault SM8 onto the world stage, where it can hopefully generate strong commercial returns and a positive EBITDA. SM8 says that since the Bondi Beach trial was completed it has been invited by a number of local councils and municipalities to submit proposals for deployment of Clever Buoy systems in various jurisdictions both in Australia and overseas. 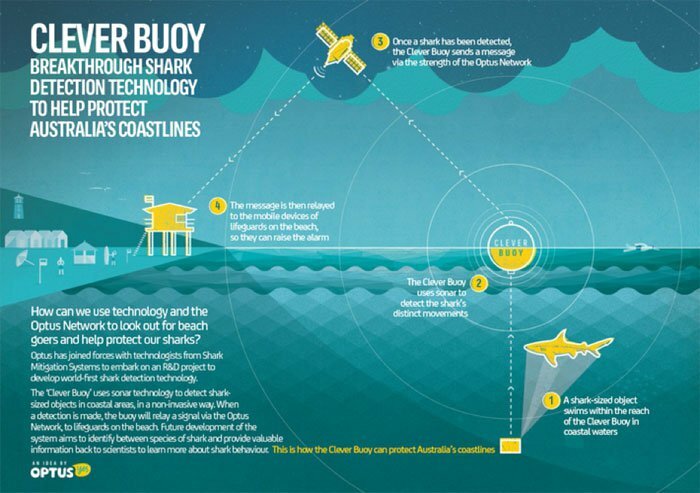 It was also advised by the Australian Professional Ocean Lifeguard Association (APOLA) that they had formally endorsed the Clever Buoy system as a viable shark detection system for Australian beaches. This is a clear sign that industry is taking strong notice of SM8, and could be the pre-cursor to SM8’s Clever Buoy system going nationwide, and beyond. Commencing with its first deployment at J-Bay, SM8 may be on the cusp of accelerated sales revenue as other contracts are awarded. Again this is no guarantee to occur, so seek professional financial advice for further information and apply caution to your investment decision. It would seem that our tiny sea-farer SM8 is catching all the right waves with both shark security and marine-biology tech growing in commerciality and EBITDA potential. Surfers, divers and beachgoers are screaming out for a nature-inspired solution to the delicate problem of marine wildlife overlapping with humans — and not a grisly one based on chemicals or intrusive methods that harm the very ecosystem surfers and beachgoers love and cherish. SM8 has delivered an outstanding contender to solve both the issue of shark-monitoring at beaches. It’s now proven at Bondi, demonstrated at J-Bay, and hopefully will spread elsewhere pretty soon. Share price catalyst-catchers, gloves at the ready. With SM8 media coverage growing and momentum building, we think this unique tech solution that’s all about collaborating with nature rather than fighting against it, could have a great commercial future. Since listing, SM8’s market cap has remained under $20M, which means this Aussie industrial tech story has yet to reach global traction. That could, and hopefully should, change with SM8’s pro-surfer-fuelled publicity growing, and its ongoing sonar-deployment discussions continuing. We think SM8 is on a voyage of discovery for the most valuable creature there currently is in the huge ocean of the global Tech industry — EBITDA. 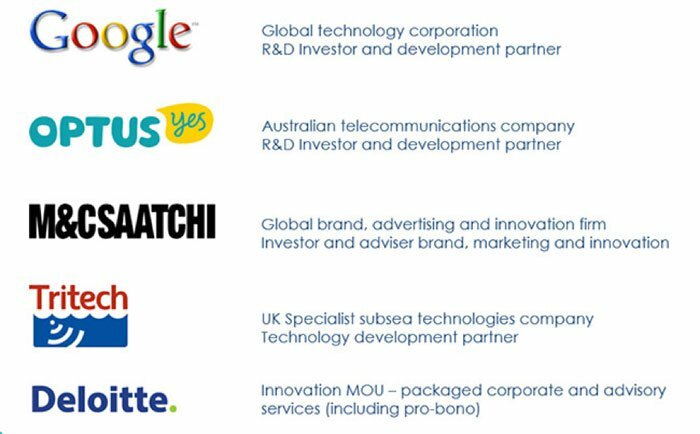 Here at The Next Tech Stock , considering all the factors stacked in its favour, we think SM8 may just capture what it’s looking for. Perth’s City Beach to Adopt SM8 Shark Mitigation Tech: The First Rollout of Many this Summer?